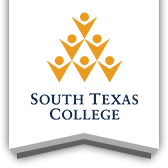 Must be enrolled on a full-time or part-time basis in an undergraduate program of study, vocational, and or technical field of study at South Texas College. Federal and state regulations mandate that a student’s total financial aid package (grants and other resources) cannot exceed the student’s financial need. Financial need is defined as Cost of Attendance minus Expected Family Contribution (EFC calculated by your FAFSA). Once a student has been selected as a scholarship Recipient, the office of Student Financial Services must ensure that the student is not over awarded. An overaward occurs when the student’s financial aid package exceeds his or her financial need. Do you have college credit but were unable to finish your certificate or degree? We can help you finish. Grad TX is a collaboration between the State of Texas, community colleges, and universities ready to help you complete your college education.